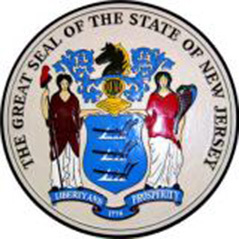 Online poker in the US state of New Jersey is much closer to becoming a reality after Governor Chris Christie yesterday signed a law to legalise online gaming in the Garden state. The Republican conditionally vetoed a proposed bill earlier this month but said that he would sign it if a number of amendments were made included a provision for a ten-year trial period for Internet gambling and a 5% increase in the tax on winnings to 15%. The amended bill sailed through the state Senate by a margin of 35-1 and in the Assembly by 68-5 with a single abstention. "This was a critical decision, and one that I did not make lightly," Christie said in a statement. "But with the proper regulatory framework and safeguards that I insisted on including in the bill, I am confident that we are offering a responsible yet exciting option that will make Atlantic City more competitive while also bringing financial benefits to New Jersey as a whole." The Poker Players Alliance was quick to offer its backing to the Christie. The race to launch legal online poker is now well and truly on with Nevada, which passed its own online poker legislation last week, and now New Jersey, battling to be first.